The editors' choice of the most significant stories in the realm of urban planning, design and development of the "aughts" (2000-2009). The decade began with one crash and ended with another, but in between we've learned a lot about making cities. As we noted in our recent article on the Top Planning Issues of 2009, the top story of the year, and perhaps the decade as well, was so big it folded into almost every story we posted. From the downfall of Detroit to the impact on city coffers, the collapse of the housing market,along with the Obama administrations attempts to fix it, permeated our culture and the world of urban planning at every level. Lowered property values and frozen funds meant fewer new private developments, which cascaded into planning and architect jobs lost and less money for cities to make improvements. As we begin the 'teens, there is a glimmer of a recovery, but no one thinks that this story is going away anytime soon. The decade has also seen a substantial move by cities towards infill development and away from the suburban hinterlands. While of course cookie-cutter developments still got built – particularly in the booming early aughts in places like Phoenix and Las Vegas – the awareness of "smart growth" concepts grew substantially, as did the policies put in place to make them happen. While the move downtown began in the 1990s, the full effect started falling in place at the beginning of this decade. 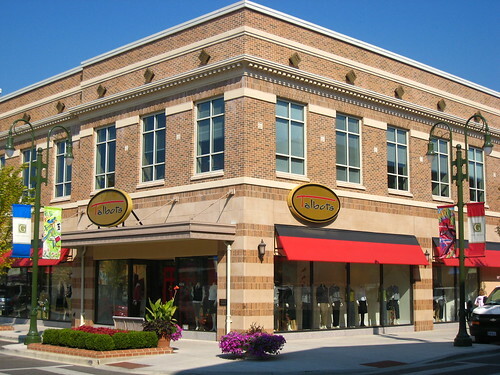 It's now almost impossible to find a major city in America that doesn't have condo and loft-style buildings with retail on the ground floor sprinkled through the fabric. Those that call smart growth "dumb" believe that urban growth boundaries and other strategies are largely responsible for making cities unaffordable for all but the elite. Regardless of the validity of that argument, smart growth is here to stay and continues to have a large effect on what gets built in this country. One way that smart growth advocates have been vindicated over the past decade is the growing body of research showing the connection between sprawl and health. As obesity continues to rise, studies show that the built environment has a major impact on why people are unhealthy and gaining weight. Cities have discovered that access to healthy food is a significant problem, resulting in "food deserts", and that car commuters are more likely to be obese than transit or biking commuters. The environmental justice movement has gained strength over the decade as well, using research like this to show that poorer communities bear the brunt of health problems brought on by land use decisions. And cities are getting smarter about citing, thanks to revolutionary new tools that put location data and mapping online for everyone to use. It was only the year 2000 when the military stopped intentionally degrading the civilian version of GPS, which improved the accuracy from 100 meters to about 20. Five years later, Google Maps debuted, tying high-resolution satellite imagery to those locations. Planners everywhere use Google Maps and other online GIS systems as a regular part of their jobs. And just last October, Google began adding parcel informationto Google Maps, attracting speculation about its application for the real estate business. We're only just beginning to see the full effect of these advances. The remains of a home washed away by a breached levee in the Gentilly neighborhood of New Orleans. 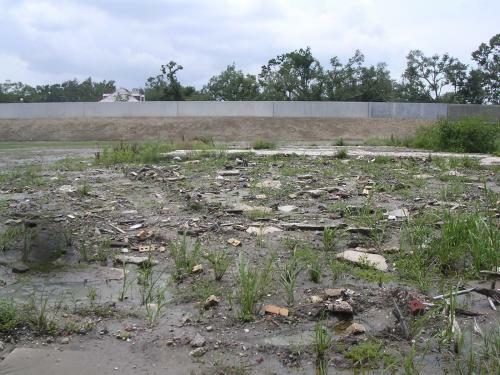 The devastation wrought by Hurricane Katrina on the city of New Orleans also had a major impact on urban planning from 2005 on -- both in terms of the planning process and the public's understanding of its purpose. The vast flooding that inundated the city highlighted the city's aging infrastructure -- and the aging infrastructure of the entire nation. It also placed the spotlight on the city's disaster planning, evacuation ability, and emergency response. With lower-income parts of the city in shambles and the population decimated, the city embarked on a closely watched public planning process to decide how to bring the city back to what it once was. Almost five years later, the city is still in recovery mode. But progress has been made, and the mistakes and inefficiencies that led to the devastation of Hurricane Katrina remain fresh in the minds of planners in New Orleans and beyond. Though the title is often bemoaned by those its been inspired by, "starchitecture" is an undeniable reality in the world today. Jumping off the international excitement spurred by the opening of the Frank Gehry-designed Guggenheim Museum Bilbao in the late '90s, cities across the world increasingly looked to big-name architects to add iconic and attention-grabbing exclamation points to their skylines. And while the trend globetrotted from Shanghai to London to Dubai throughout most of the decade, the wisdom of investing in iconic architecture was brought into question towards the end of the '00s. As the commissions for these buildings got bigger and bigger, urbanists began to wonder whether the investment really helped make a better city, or just a better city postcard. Starchitects may not be scrambling for work anytime soon, but the trend of cities betting their destinies on the wow-factor of single buildings is likely an artifact of the last decade that will remain history. Another trend in architecture – and one that is on an exponential growth pattern – is green building. Concerns over pollution, energy waste and climate change amplified throughout the 2000s, and many in the environmental movement began to make the connection between urban development and environmental deterioration. For architects, planners and developers, the revelation that buildings consume more than a third of the nation's energy led to the development of the "green building" movement. Making buildings more energy efficient and sustainablequickly became the goal (in marketing materials, at least) of nearly every developer. The emergence of the U.S. Green Building Council's Leadership in Energy and Environmental Design green building standards helped turn the movement from a fringe idea into a household name. Now many states are requiring LEED certification on new buildings, and building codes across the world are being updated to make the built environment less of a drag on the natural environment. Due to a combination of urban development, changing industrial economies and third-world population growth, the world's population became predominantly urban during the last decade. In The U.S., that's meant a return to the city for many people, as the metropolitan lifestyle comes back into vogue. But globally, the impact has been much more profound. The shift was no surprise, but it drastically changed the way many planners and policymakers think about global cities. Technology and globalization are changing the way many in developing countries live, and that change is pulling millions of people out of rural lifestyles and dropping them into vast and rapidly developing urban areas. With that urban explosion has come the challenge of adapting places to handle the influx, especially in poor nations. As this population shift continues, planners across the globe will have to figure out a way for these emerging megacities to grow in a sustainable and healthy way. Much of that population growth has been occurring in China, where a new global economic power is surfacing. With this growth has been the seemingly overnight creation of entire new cities, housing millions of people. The rapid urban development in Chinais a testament to the country's growing influence on the world, but also a distinct challenge for planners and policymakers. Will the Chinese repeat some of the mistakes other countries (like the U.S.) have made as they built their cities? Is sprawl inevitable? Can the Chinese environment support this quick creation of cities and the industries that fuel their growth? Many questions remain about what will happen with China, but there is no doubt that it will be a major issue for planners to consider into the future. 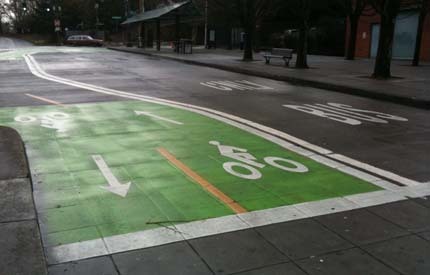 New bicycle lanes in Portland. Last but not least, the decade has seen a growing interest in walking and bicycling in cities and improving the infrastructure to encourage people to do so. Bicycle culture was a growing force, including both in-your-face activists and humble commuters. Meanwhile, smart growth and New Urbanism brought more attention to the streetscape and its significance in making cities livable. The combination of these movements have transformed the way planners and urban designers think about the city. The aughts turned out to be a rollercoaster of a decade, and there were many issues and events of significance that we left off: The Kelo decision, the effect of the 9/11 attacks, and many more. Here's hoping that the teens will be smoother sailing, and that the lessons we've learned continue to influence policy and the built environment. Tim Halbur is managing editor of Planetizen. Nate Berg is assistant editor of Planetizen.